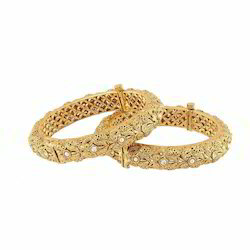 Gold Plated Peecok designer Bangles (2.4 Size available)Antique Bangles Set copper base material used jewellery for modern Women Only. Comes with the matching earrings. The look is stunning and preciously suitable for all kinds of dressy occasions. The kundan used are of high quality. Ethnic Wear. Can be worn for engagement and wedding parties. 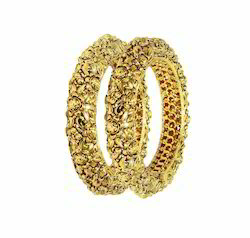 We have gained huge appreciation by the clients for offering an exquisite assortment of Designer Golden Bangles. Each bangle in this collection is designed and crafted by our diligent craftsmen who follow prevailing trends and styles in the crafting process. 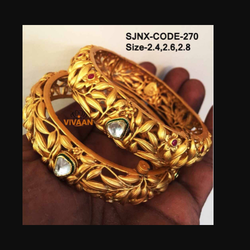 Also, these bangles are stringently checked by our quality controllers on various parameters to ensure perfect finishing.Beautiful Pearl Traditional Design Bangles For Indian Jewellery. pretty Look, Antique Design, Wedding Jewellery. Gold Plated Peacock designer Bangles (2.4 Size available)Antique Bangles Set copper base material used jewellery for modern Women Only. 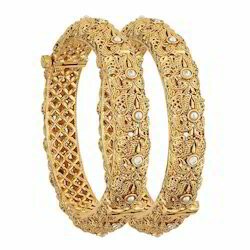 Beautiful Pearl Traditional Design Bangles For Indian Jewellery. pretty Look, Antique Design, Wedding Jewellery. Traditional High Gold Quality Plated Bangles of the latest designs could be an effective way to grab attention on any occasion. Carving & Traditional Design Bridal Bangles Set For Indian Women Jewellery. 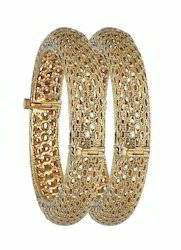 Modern Style & Antique Design Gold Plated Bangle. Beautiful look & Copper Material.